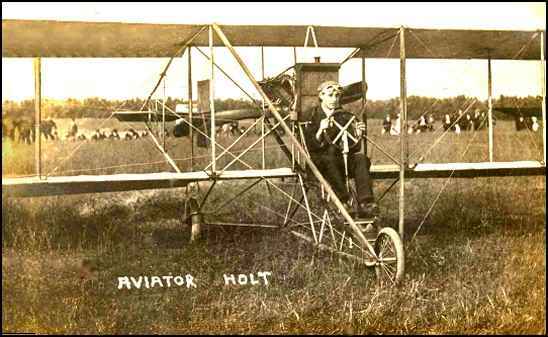 I stumbled upon some info on Mr Holt--His first name was Lester and he was at the Cicero Aviation Meet in 1912. I Found him on Carroll Grays' website while I was looking for something else. 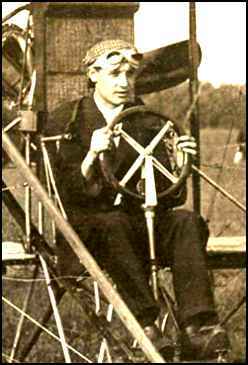 He also lists Mickey McGuire and gives his real proper first name was Newell M. McGuire..
ONLINE RESOURCES Jerry Blanchard alerted me to Holt's first name, Lester, and to the fact that he was mentioned in Carroll Gray's story of the Cicero Flying Field. It was the only link I could find and required the use of many disqualifying terms. Cicero Flying Field Carroll has written a very interesting and comprehensive history of the field. If time permits, you should read it in its entiretly. If you will use the name "Holt" with your "FIND" function, you will locate the entry with ease. It is brief, but at least gives some indication of his story. Yiou can access the site by clicking on the title above.